As engineering practitioners with numerous patents of our own and others in process, we recognize the critical importance of protecting intellectual property. We are here to help you and your clients by providing relevant information and analysis of your products, designs, patents and trade secrets..
Claims define and limit the intellectual property protection provided by a patent. Proper reading and interpretation requires detailed knowledge of patents, the patent process, and well-established competence in the technical subject matter. Infringement occurs if a product falls within the scope of a valid patent�s claims. Such a determination requires comprehensive understanding of a claim�s construction and a thorough technical understanding of a products features and design. 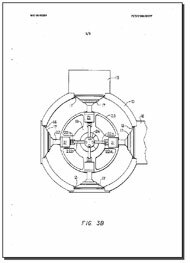 The existence of prior art can obviate the patentability of a new product or invention. 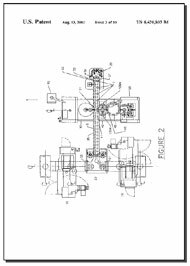 At the early stages of a patent application, thorough knowledge of the technical details of existing prior art provides the foundation for the development of a solid and robust patent application. After issuance, new prior art may emerge. Technical analysis of the features of this art as it relates to claims construction is critical to determining infringement. Reverse engineering seeks to determine the basic operational principles of a product or design with the goal of developing new competing versions of a product or determining its flaws and weaknesses. Proper reverse engineering approaches always start with application of engineering first principles such that objective and accurate results are obtained. At Steinke Beyer, our experience in product design and development, coupled with our solid engineering background, will provide thorough and objective conclusions to such efforts.